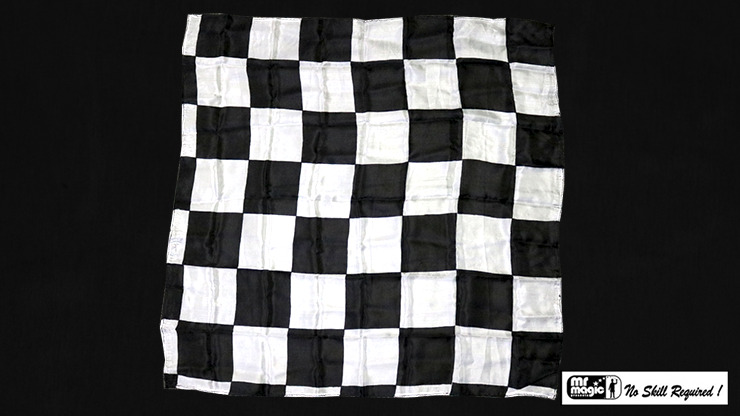 This is an attractive silk measuring 21 inches in length by 21 inches wide decorated with a black and white chess board pattern. This silk, when folded, occupies very little space. Use for production from any production apparatus like 'Mirror Box', 'Square And Circle', etc. This silk is provided in a zig-zag fold, ready to use. It would function perfectly for an appearing cane or wand.